I recently wrote about how American may be willing to extend the expiration date of systemwide upgrades for some customers based on their Helix Score. A lot of you didn’t know this was a thing, so in this post I figured I’d talk a bit more about that. 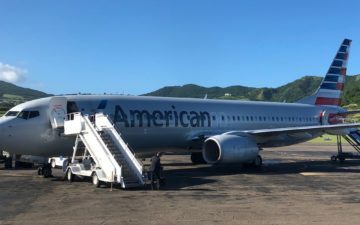 The catch is that there’s not a whole lot of info out there about it — American is really good at keeping this stuff secret, much more so than other airlines. So I’m going off what I’ve heard over the years, including this post by JonNYC. Airlines obviously have a lot of data to go off of. In addition to published elite tiers, some airlines have elite tiers that have unpublished qualification criteria, like American Concierge Key, United Global Services, etc. But in some cases there are even more mysterious ratings for customers. For example, British Airways gives their customers “scores,” and this is something that the cabin manager on a flight will have access to. It’s not just airlines that do this. For example, Hyatt also has (or at least used to have) different tiers of Globalist members. So this isn’t unusual as such, the question is just how secret companies can keep this. American Airlines has what they call their “Helix Score” system, where elite members get an “Eagle Rating.” All elite members get a rating of 1-5. It’s my understanding that Executive Platinum members have three to five Eagles, while Platinum members have one to two Eagles. I’m not sure where Platinum Pro members fall, or if all Gold members have one Eagle. Can you find out what your American Eagle rating is? American keeps customer Eagle Ratings super secret. Don’t even bother asking an American employee about it, they’ll pretend it doesn’t exist. There are some ways to extrapolate some information (more on that below), but don’t expect to have luck asking an American employee what your rating is. For that matter, most employees don’t have access to your ratings. This isn’t something that flight attendants can see, for example, but rather it’s just reservations agents and management that have access to this. What determines your American Airlines Eagle Rating? Some might be surprised to learn that your Eagle Rating isn’t directly correlated to how profitable you are. It goes beyond just how much you spend with the airline. I don’t know exactly how it works, but the idea is that the rating somehow also factors in issues you may have had, or how likely they perceive you to be at risk of defecting as a customer. Like I said, there’s some super secret formula, but the idea sort of makes sense. They want to give the highest Eagle Rating to those they care most about. Those could either be the customers that spend the most, book the most profitable tickets (which is different than just spending the most), or those who have had a lot of issues with customer service, lots of delays, etc. Does your American Eagle Rating actually matter? Yes and no. Your day-to-day customer service experience shouldn’t vary. Crews don’t even know your score. In my opinion reservations agents aren’t empowered to help anyone nowadays, regardless of your Eagle Rating. So perhaps the closest you’ll get to being able to figure out your Eagle Rating is to see if American is willing to extend the expiration of your systemwide upgrades. If you’ve requalified and have some you haven’t used, they generally will allow it if you have four or five Eagles, but not if you have fewer than that. They still won’t acknowledge that the score is a thing, but you have to read between the lines. Like I said, American’s Eagle Ratings are so secret that there’s not really much info out there. The best thing I can do is go off what I’ve read and share my understanding, though it’s entirely possible that this information is outdated, that the metrics have changed, etc. You shouldn’t be too worried about your score one way or another, though I figured it’s something that people would find interesting. If you’ve had any experience with your Eagle Rating, please comment below! The credit card companies must have a similar scoring system in terms of deciding whether to waive an annual fee. Good lord, the video rental shop I used to go to 25 yrs ago had taken computer notes on all their customers that you could see on the screen (“gets irritated with late fees”). Some odd little link went around about 20 yrs ago whereby you could see that Delta had collected all sorts of nutty information about you if you were a skymiles member – your salary, the value of your home, etc. With my “profile” in the AA elites system, I have no doubt someones noted every time I gave an FA serious grief when they told me to push my seatback up 45 minutes from touchdown so they could go sit down. Of course they have “ratings” … some financial, some behavioral. Big data, big brother. Pretty scary if you dwell on it, as every little thing will follow you forever. Lucky – potential leak of new Marriott program. @ Chris — Very interesting, thanks for the heads up. Probably missing something, but do you see any new info here? The Marriott Bonvoy term is interesting, but not seeing anything that differs from current program? Within the EU you have a legal right to see *all* individual data held on you by any company (and a lot of other bodies, too). For example, just send BA a message under “GDPR regulations” and see what they tell you. They’re obliged to present all the data in a manner that is intelligible, including all keys and codes (they can’t just dump on you a print-out of binary code). Incidentally, in some circumstances not revealing all the data held, or destroying it after being asked for it, is an actual criminal offence, which can lead to jail time. In the U.K. (and most EU countries) there’s an independent regulator to whom you can complain if the company doesn’t play ball. @Lucky – some of the links are broken but nothing new besides name change to the program and Platinum Premier -> Titanium. I’m curious about my rating. I have been Aavantangr member sine 1999, and have been at gold for couple years, executive platinum for several years, and just plain platinum for majority of my member years. I remember about a year ago, they called me and asked me why I dropped to platinum after being executive platinum. I told them the truth. My current job doesn’t need me travel as much. Although, I have been just a platinum majority of the time. I’ve been offered upgrade to Business Class quite a few times when I travel from Narita to LAX, a route that I use to fly frequently. I do feel special with Old AA (Before merge with US Air). I’m pretty sure there is some sort of secret status ranking for non-elites also. My experience: was elite on AA for a few years then beginning around 2013 flew them only 2-3x per year until last year. After I had no status was never lower than Group 6 boarding, never had a middle seat, got other little perks here and there. Once missed a connection due to an AA maintenance issue and when the gate agent was getting a hotel for me he said “Oh that’s nice – says here to put you in the hotel we use for premium passengers.” None of that was life changing but I thought I must have had some status due to past history. @Nice Paul: Doesn’t that apply only to data the customer has willingly provided? Customer rating data isn’t data the customer provided – it is data the airline computed using their own algorithms. No: it applies to *all* data held on an individual. Anything which is identifiable as your personal data *must* be released to you on request. Whilst BA does have a CIV score for each passenger my understanding is that it doesnt have to tell you how it is calculated or what it means as they are a result of it processing the data it has on you. I wonder if an EU based member of Aadvantage could use GDPR to ascertain their score? I’m not familiar enough with similar laws in the US regarding to an individual being able to get access to their data. in the U.K. for example Freedom of Information laws don’t apply to private organisations where as data protection laws do. They are not the same but often conflated. Not correct. There’s some escape room at the margins, but they must give you the data in a form that is intelligible and meaningful. They are not entitled to hold your personal data forever, either: their holding it must be proportionate and reasonable (or you must have agreed to it – probably by ticking some vast set of T&Cs on a website – though you can usually later withdraw consent). Do you have any journalistic integrity at all? You even said yourself you don’t know what you’re talking about a couple of times. You’re just doing a story to scare people. Who is paying you off? I did get told my eagle rating once when on the phone to a customer service supervisor re a problem.Was told that is why it was being fixed.Also told part of the reason I had a higher rating was because I complimented them on good service.But have always flown J or F cabins. 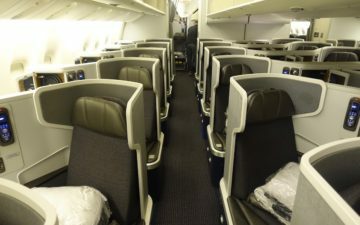 However I also left after Dougie took over and even when I fly AA nothing really good to pass on compliments.Though still benefits eg flying NRT-DFW and plane couldn’t leave DFW due to ice storm by the time I got to checkin was already on the NRT-ORD service.Only plat at the time. @Kevin Birnbaum Bloggers are not the same as journalists. While there may have been good intent on on posting the article, it ultimately drives clicks toward their page with ads on it. To top it off, while there are some correct bits, I can verify that there are several areas that are wrong or don’t have all the information considered on them. Take the article with a grain of salt and just try to be nice to the airline employees. That will get you a lot farther than your Eagle rating in day to day situations.